Mel Gibson And John Lithgow Officially Join DADDY’S HOME 2 | Birth.Movies.Death. Yesterday we learned that Warner Bros. is actively courting Mel Gibson to direct the sequel to David Ayer's Suicide Squad. This development was - as you might expect - accompanied by a fair amount of passionate discourse, a lot of which centered around one question: "So, does this mean Hollywood's officially forgiven Mel Gibson?" Plot details revolve around Wahlberg and Ferrell’s father and step-father characters working together to help raise Wahlberg’s kids from previous marriage. When Gibson and Ferrell’s fathers arrive for Christmas, the family dynamic is tested again — Gibson and Lithgow have their own ideas about how the kids should be raised. Whether this is good news or bad news will depend on a) your tolerance for Gibson and b) how much interest you have in a Daddy's Home sequel. Speaking as someone who's indifferent to both Mel Gibson, Actor and a Daddy's Home sequel, I'm finding it hard to get too riled up one way or another about this. I suspect that will not be the case for everyone, but it's like I always say: it's our level-headed differences in opinion that make the world such a wondrous place to live in. 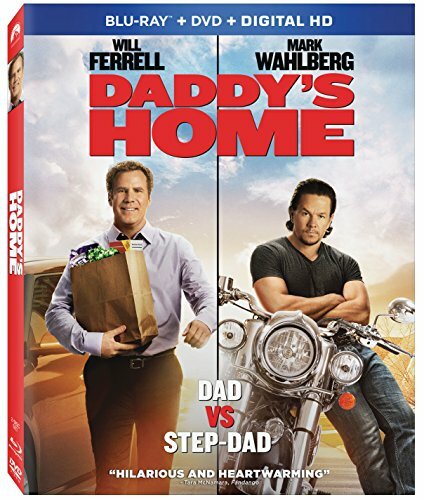 Share your opinion on the Daddy's Home sequel in the comments below.